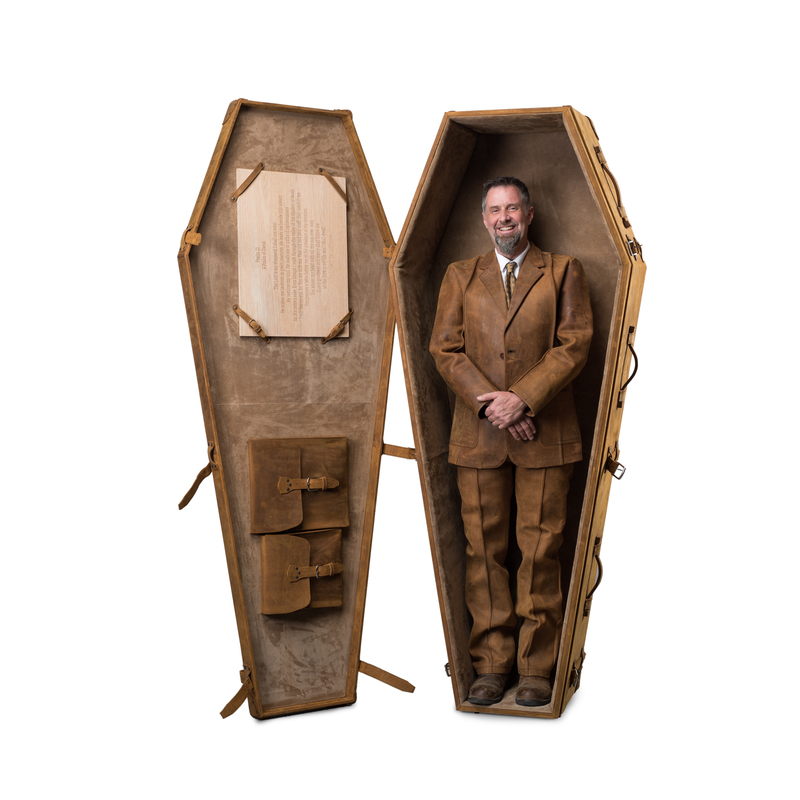 There’s a new addition to the offices here at Saddleback HQ: Dave’s giant leather coffin. It’s an unusual thing to have around an office building, but nobody ever said working at Saddleback was going to be a normal experience. It’s got us clicking through the web, browsing lists of the top regrets of the dying. It doesn’t take much, just a few pushups and a stroll around the block most evenings after work. Don’t worry too much about what others think of you. Listen to that tiny voice in the pit of your stomach, or in your heart, or the back of your head. It’s in there somewhere. Don’t tune it out. Sure life is pretty terrible, but it’s not terrible all the time. Most of the time you can either laugh or you can cry. Might as well laugh. If you can change it, then change it. If it’s out of your control, think about something else. Stress causes cancer. Work hard to get through the tough stuff. Relationships are tough. Marriage is hard. Work hard to make yourself vulnerable. Be selfless. Choose love. Ask for forgiveness. Allow yourself to be forgiven. Bury the hatchet with those who did you wrong. All those things money can buy ain’t worth too much if there’s nobody around to share them with. Then you’re just left in a big house full of fancy stuff nobody really needs. Turn your phone off more. Did you know your phone has an off button? Check the owner’s manual to figure out where it is, and use it. Maybe they’re going through some tough stuff too. Maybe you could have a good laugh about how strange and hard life is (see #3). Tell people what you really think. And how you really feel. It’s not always easy but it works out better in the long run. Spend more time with your kids and spouse. Say “I love you”. Err on the side of saying it too much.